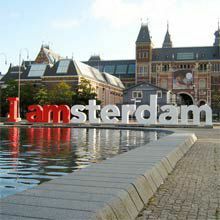 Amsterdam is popular tourist Europe center, annually visited by more than 4.64 million guests from different countries. 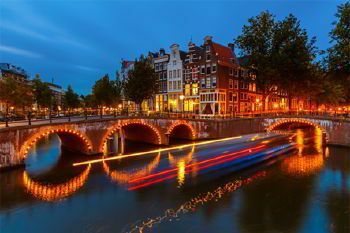 Amsterdam is largest Netherlands city, located on the Amstel river. Tourists every year visit attractive Amsterdam as it combines the atmosphere of 17thcentury with modern metropolis mentality, creating a friendly & comfortable environment. Low-rise buildings & seclusion of streets, canals & squares create an atmosphere that city guests find unique. Since all city territory is located on marsh lands, construction of wide highways or huge skyscrapers is just impossible, but this does not diminish Amsterdam's tourist attraction. Cobbled narrow streets with old buildings on tall beams, huge flower beds of tulips & an abundance of parks create very unique comfort, friendliness & romanticism atmosphere. Amsterdam historical center is distinguished by a large number of well-preserved medieval buildings - churches, residential, museums & merchant houses. Rembrandt's house was bought in 1639 & he lived & worked here. In 1658, this house was auctioned off for debts. Now it is a museum - "Rembrandt House". Speaking about Amsterdam, popular red light district should be mentioned, as well as "coffee shops" - a cafe where light drugs are allowed. Besides large shopping centers, Amsterdam has small ancient shopping streets, where private designer shops are located, this is Kalverstraat & Nedenstrains nine streets. Drivers & Chauffeurs are first people who pass verification process. 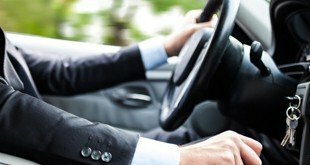 Driver license is mandatory document that chauffeurs should have to work in 8rental company. To drive a vehicle in proper way drivers should raise professional level. In case many friends want to gather in Amsterdam & don’t how to hire vehicle with driver, have to apply for 8rental’s offer. Standard chauffeured hire minivan is developed for pleasant transportations on city roads. 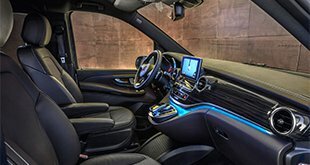 If a business trip suddenly occurred, definitely you should hire vehicle with driver by 8Rental’s firm. Luxury provided variant suits to business people, meetings or affairs.